We offer stability and excellent career progression opportunities including management careers. We will invest in your development to allow you to learn and apply new skills. 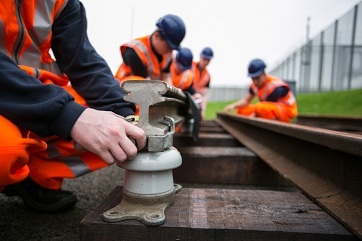 Technical Managers are the first level of management, reporting to the Maintenance Managers and are responsible for line managing and allocating work to assigned staff (not necessarily from same specialist background) ensuring work is carried out in line with pre-set timescales and standards. In addition, Technical Managers carry out some planned preventative maintenance (PPM) and repair tasks. To carry out this role you must have completed a recognised apprenticeship and achieved at least SVQ Level 3 and a national certificate (or equivalent). Depending on our specific requirements your apprenticeship and qualifications should be in a mechanical, building or electrical discipline (depending on the specific role being advertised). Maintenance Managers are responsible for the electrical, mechanical and building services maintenance (planned and reactive) and projects as delegated by the Area or Deputy Maintenance Manager. Your role will be to plan, prioritise and pro-actively manage estate maintenance resources (including staff and contractors) to ensure that the requirements of Service Level Agreements are met within the agreed performance levels. To carry out this role you must have completed a recognised apprenticeship to at least an SVQ Level 3 and a minimum of national certificate (or equivalent) in a Mechanical Electrical/Electronic or a Building Services discipline. We also employ a number of senior maintenance managers. These roles are responsible for ensuring business continuity and that SPS maintains compliance, the delivery of project work, asset management, sustainability, energy management, planned and reactive maintenance tasks for all Estates related services. Your role may also manage resources, including internal teams and external contractors to ensure effective service delivery. Please visit our Current Vacancies page to find out if we are currently recruiting engineering managers and to register for job alerts.